Choosing how to pay for a car is a big decision, probably second only to buying a house. There are a lot of options out there, from buying outright with cash or savings to entering into a Hire Purchase agreement, a personal loan or a Personal Contract Purchase. Each option comes with unique pros and cons, and with so many factors to consider it can be overwhelming. So we’ve made it easy for you with our guide to the pros and cons of buying a car on finance. We’ll walk you through the different options so that you can decide which is the right choice for you. It’s becoming more and more common to buy a car on finance, and there are definitely advantages to it. It takes time, forward-planning and patience to build up the savings to buy a car outright, and for a lot of people, it just isn’t a practical option. Or it could be that you want to use your savings for something else like a house deposit or keep them in case of emergencies. So, that’s where buying a car on finance comes in. You’ll be able to get your hands on a new, or new-to-you car in little time and drive it away. It’s very appealing to think of driving off in a new car, without having to spend time saving up! There are more options around than ever before, with more flexible terms and even an incentive or two thrown in! With a finance deal, you’ll know exactly what your monthly costs for your car will be, so it’s easy to work into your budget. It has to be said that buying a car outright generally works out cheaper in the long run, as you don’t pay any interest on your car. With some finance options, you’ll discover that the interest adds up considerably over the months and years. This is especially true with high interest rates typical of Hire Purchase Agreements. But with a finance deal, you could upgrade to a better car or model than you could afford paying upfront. It’s worth looking closely into the different finance options for buying a car, whether new or used. So here’s a rundown of the choices you have, with the pros and cons of each finance option. If you have a good credit rating, using a personal loan without a guarantor to finance your car can be an attractive choice. You can use a personal loan to cover some or all of the cost of a car. Finance providers, building societies and banks all offer personal loans which you could use to fund a car. A personal loan works out as one of the cheapest ways to buy a car due to lower interest rates. With Hire Purchase, you need to put down a deposit of around 10%. You’ll pay the rest off in monthly payments over a fixed time period. You won’t actually own the car until you’ve made your last payment. Higher rate of interest than a personal loan. With a Personal Contract Purchase, you’ll pay lower monthly payments. At the end of your agreed term, you can choose between paying a balloon payment to keep the car or handing the car back to the dealer. The higher the deposit you make, the lower your monthly payments will be. if you don’t have the savings, you can choose not to put a deposit down – and still drive away a new car! When you decide to buy a car on finance, you need to think ahead. Consider whether you’ll be able to meet the monthly payments throughout the entire term of the deal. Work out what the running costs of the car will be too and take that into consideration. It’s a good idea to calculate what the total cost will be across the entire agreed term too, so you can weigh up whether the deal is favourable or not. You’ll also need to think about your personal situation – do you have a good credit rating? If so, a personal bank loan will generally work out cheapest. If your credit rating is lower, you might have to consider the other options. Make sure you shop around to find the most competitive car finance deals out there. Compare interest rates and don’t forget about any hidden charges depending on the type of finance you’ve opted for. So there you have our guide to the pros and cons of buying your car on finance. 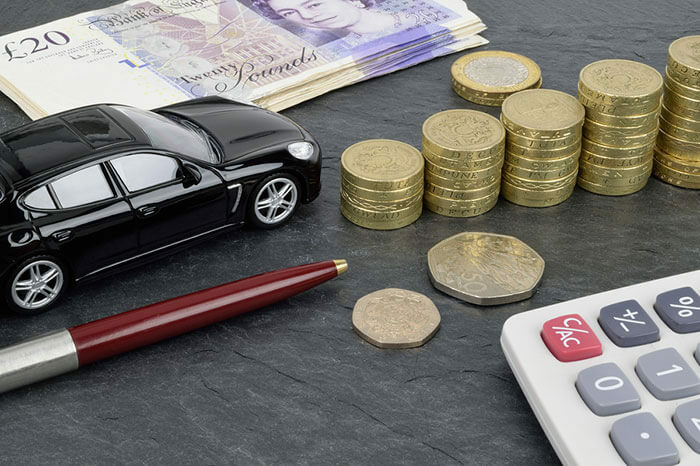 We’ve delved into the topic of car finance and the best way to fund your car. We’ve weighed up the positives and negatives of buying your car upfront with cash or savings, versus buying your car on finance. 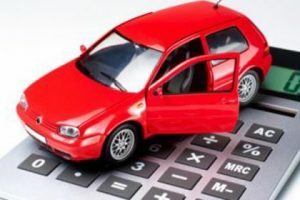 With our quick summary of the different car finance options available plus the pros and cons of each, you should have more of an idea as to which type of finance would best suit you and your situation. Make sure you’re clear on all the details of the finance agreement you enter into, including interest rates, monthly repayments and any other important information. Now you’re one step closer to driving away in your new car!